The Aerocool ASA Charging Station is perfect for supplying or connecting a number of devices at the office, home or at a public area such as coffee shops and libraries. 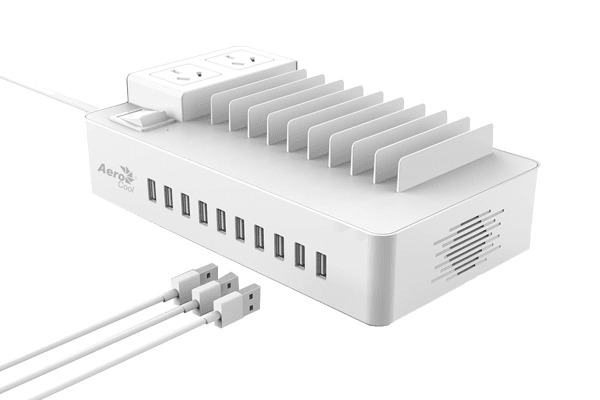 The Aerocool ASA Charging Station features 2 AC outlets that can supply energy to computer host and additional peripherals. Plus, 10 USB ports allow various cell phones and tablets to connect to station. 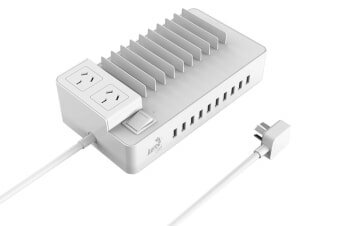 2 AC outlets (2500W) provide energy for appliances and peripherals. Single USB port outputs up to 5V/2.4A, delivering a total of 105 Watts to power five tablets and five cell phones simultaneously. Innovative design keeps cable mess to a minimum and a smaller desk footprint ensuring less space for more devices. Stay organised and clutter free! With an anti-surge integrated circuit, ASA Charging Station absorbs low, medium or high spikes in the flow of the current continuously ensuring all your devices are well protected. Anti-surge also protects your devices in case of stormy weather. It instantly cuts the power to all devices and connected peripherals guaranteeing the security of your home and property. Every line and corner is carefully crafted. 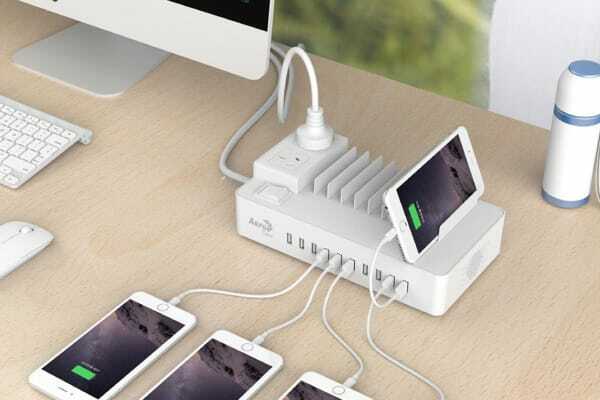 It looks great, feels great and no matter where you place it; it will always power your devices and keep them safe.